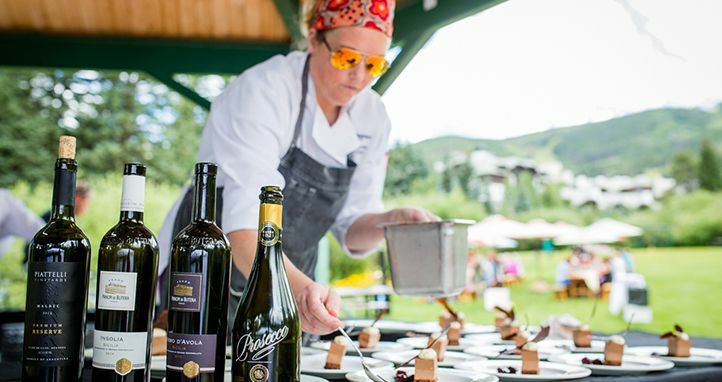 Combining Beaver Creek’s very own culinary talent, exclusive wines and outdoor venues the Beaver Creek Wine & Spirits Festival is the perfect recipe for summertime in the mountains. Our celebrated chefs work closely with master sommeliers to bring a highly curated pairing of food with wine and spirits that will excite your palate in an incomparable Rocky Mountain setting. These exciting flavors are often created from ingredients sourced from the chefs' own alpine gardens, greenhouses and bee hives. Heighten your taste buds with a guided culinary hiking, lunch, mountain view Fitness classes, COMPLIMENTARY events in the village, Hand on Seminars, intimate dinners and the signature event of the weekend: the Grand Tasting. To explore the full list of events and ticketing options, visit beaver creek dot com slash wine.